As a home-based business owner, instead of spending my lunchtime at Starbucks, I find myself undertaking DIY projects throughout my day, like painting. 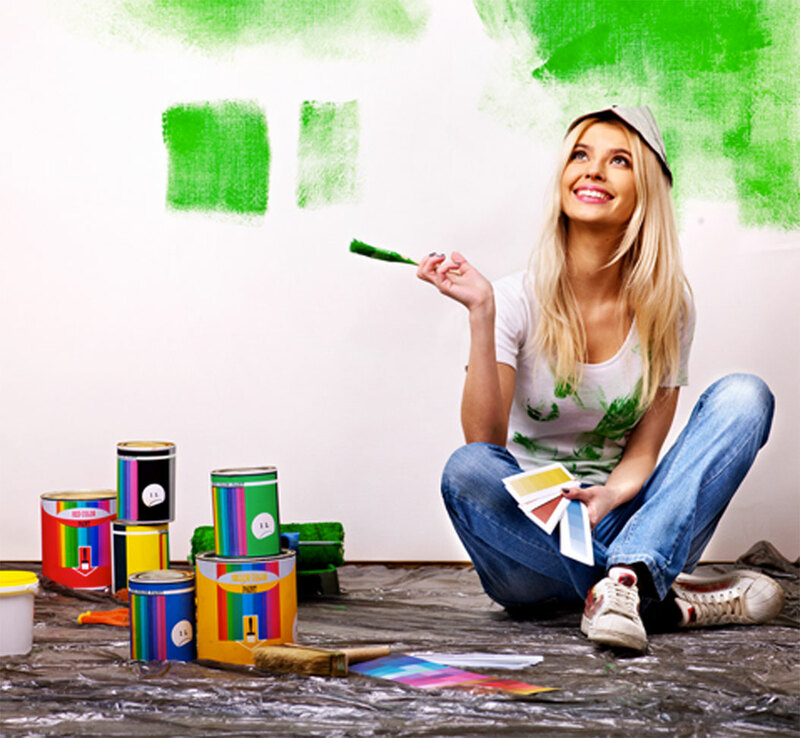 Not painting fruit or landscapes on canvas, but touching up rooms, shelves, hallways––even the dreaded crown molding. And yes, I’ve come to enjoy it! Painting has become a big stress release for me, and consequently one of my favorite pastimes. For example, after an intense team coaching call where I’ve given all I’ve got, I’ll take a painting break to recharge my mind. It’s a gratifying addiction on many levels, backed by science. And thanks to great programs on HGTV, it’s easy to get inspiration, as well as access to tools, décor, and so many techniques to make your home look and feel refreshed with little effort. In addition to the obvious superficial benefits, my productivity actually soars too! I’ve spoken at leadership events, and I frequently remind colleagues about the importance of balance in order to bring your best. Whether you’re a mentor, mom, mogul, or all of the above, taking a daily break to eat, exercise, meditate, nap––or paint––is a much needed reward for your body and brain; plus it pays yourself back. Even several short breaks throughout the day, provides an opportunity for your brain to decompress, recuperate and rejuvenate. Our culture is wired to connect 24/7. Sadly, fewer than 20 percent of American workers step away for lunch, and 39 percent usually eat at their desks according to a survey conducted by Right Management. Everyone deserves a livelihood they love. But even when you do what you love, in order to bring your A-game, you need to refuel and recharge––and yes, that may mean stopping to smell the VOC-free paint a couple times a day ;). Whatever your break du jour, the practice is proven to have a positive impact on productivity, blood pressure, sleep quality and more. So next time you think you don’t have time to squeeze in that quick walk on the beach… make time. The truth is, stopping will actually help make you better, smarter, faster at what you do. So excited to have Amy Biederwolf contributing to our Good Life Blog! Welcome and thank you for this great piece and excellent tips in this article. Looking forward to your next addition!